The on-board LED will blink each time it will get sucess in sending data. Please change the Security -> Connection Security -> TLS Optional on IBM Watson IoT platform or else the device will continuously be denied to connect. Rest of the part is easy and common to this kind of setup. Now, instead of the two variables – humidity and temperature, you can use some other kind of data collecting sensor like speed, fuel to create own project. This Article Has Been Shared 6574 Times! Here is How to Send an HTTP POST Request to IBM Watson IoT on Button Press from Arduino ESP32. The basic is dependent on our earlier two separate examples. 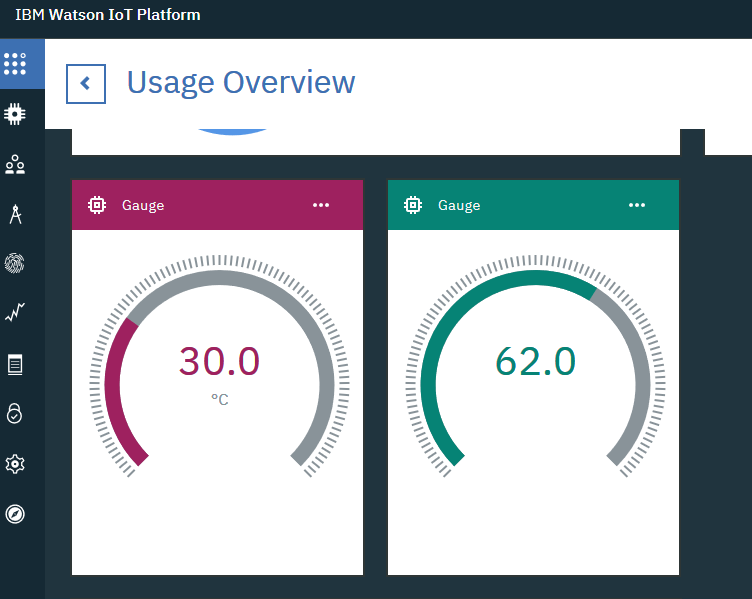 Cite this article as: Abhishek Ghosh, "Connecting ESP32 Arduino with DHT11 with IBM Watson IoT," in The Customize Windows, March 18, 2019, April 18, 2019, https://thecustomizewindows.com/2019/03/connecting-esp32-arduino-with-dht11-with-ibm-watson-iot/.